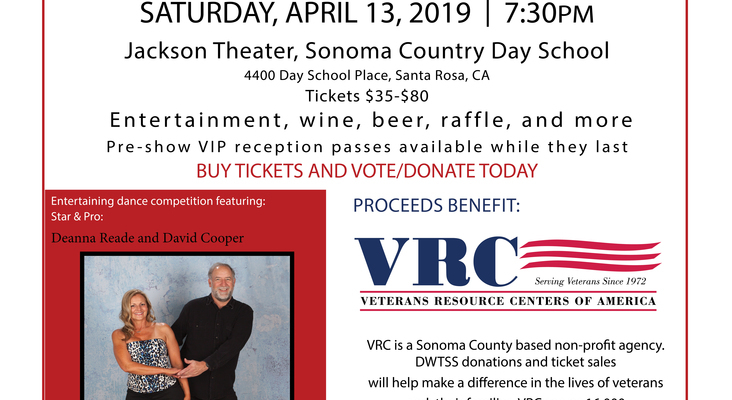 I'm thrilled to be dancing in the 4th Annual Dancing with the Stars and Stripes fundraiser for a great cause and I will be relying on each and every one of you to help me succeed with the fundraising aspect over the next 6 months as well as being present in my cheering section for a fabulous show on April 13, 2019. Click the Donate button so your donation counts toward my votes. Every $ counts and each $ is worth one vote. Thank you for supporting me and most of all for supporting our veterans. Great job DEANNA! Can’t wait to see all of your hard work come to fruition!